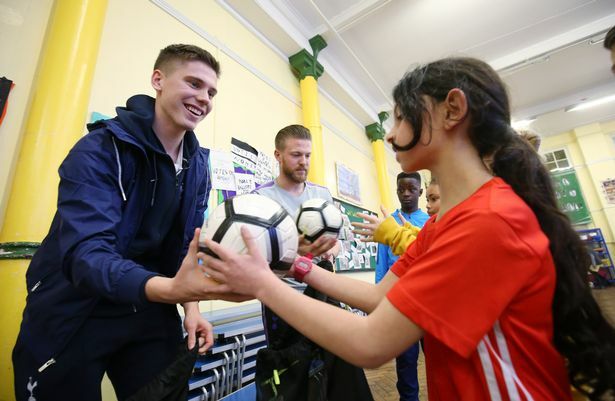 But, as well as his father Ariel, what has also helped Foyth is his tight Spanish-speaking friendship group with fellow Argentines Erik Lamela and Paulo Gazzaniga, Colombian Davinson Sanchez and the old head of the group, Spaniard Fernando Llorente. "Fernando looks like my older brother! All the players are really good," he said. "In the first moment when I arrived I was really nervous because of the status of the players but they are really good guys and on the second or third day here I was relaxed and enjoying everything." For Foyth, the climate of England is also very different to where he was born and raised - La Plata, the capital city of the Buenos Aires province, where the February weather is currently around 30 degree centigrade. "In Argentina it can get cold as well, but when it’s hot there, here it’s cold so maybe you see pictures from back home and the people are in the sun and you say ‘oh…’," he laughed. "But it’s nice to be here. I want to be here. It’s my dream so I enjoy it. I don’t care about the weather. "Maybe with the car [it was difficult], driving on the other side of the road, but in just two weeks you are good!" It hasn't all been plain sailing for Foyth. His first season came and went without a Premier League appearance as he had to take any chances to impress in the domestic cup competitions. He made just one appearance in the Champions League, in a dead rubber game against Apoel Nicosia after Spurs had already topped the group, before Pochettino had to break some bad news to him. The arrival of Lucas Moura from PSG on deadline day in January 2018 added to the club's already over the limit number of foreign players and meant the Spurs boss had to make a "painful" decision and tell Foyth that he would be dropped from the Champions League squad. The young defender could have kicked up a fuss or made his disappointment clear, but Pochettino said he took it like a professional and a year on Foyth has not changed his tune. "He explained to me and understood because perhaps it was necessary to have another player in my position," said the 21-year-old. "I also understood that there is a hierarchy in the club and among the players and I have to earn my position there." Foyth played just five FA Cup matches in the remainder of that campaign and his season effectively ended in February. Any hope he had of making an impression on Pochettino and the coaches in pre-season, with the club's World Cup stars absent, was snuffed out by a troublesome thigh injury which not only ruled him out of the team's US tour but also the first month of the season. There were plenty of reports linking Foyth with a loan move to Championship side Leeds United, to link up with fellow Argentine and Pochettino mentor Marcelo Bielsa. However, such a move never entered Foyth's thoughts. "I was never told anything about that so I don't know whether it was actually true or not," he explained. "I have to guide myself on what my agent says. Despite everything I started the season really wanting and looking forward to being here, despite not having a position [in the Champions League squad] and I just wanted to learn day by day." 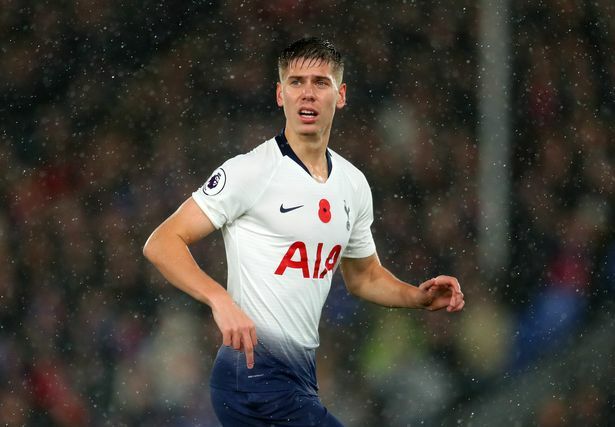 Spurs' failure to sell any players in the summer meant Foyth once again missed out on the European squad but his patience was eventually rewarded when injuries to Jan Vertonghen and Davinson Sanchez handed him a big opportunity this season. He finally made his Premier League debut at Wolves on November 3. It was a debut to remember. Foyth was in excellent form throughout the game until he conceded two late penalties to almost gift the hosts a way back into the match. Spurs held on to win 3-2 but Foyth's penalty pain drew plenty of attention. Pochettino however gave his backing to the young centre-back. "I think he understood, He was a central defender like me, he played in my position and he told me that this is a situation he had been in," explained Foyth. "He always supports us and this gives you confidence you know to go forward and keep working. It's really, really nice." Foyth bounced back by scoring the winner in the next match at Crystal Palace - his first senior goal. His performances continued to impress Pochettino - who perhaps saw a bit of himself in the young, confident defender - and Foyth began to rack up the Premier League appearances, against Chelsea, Woolwich, Southampton and Bournemouth. 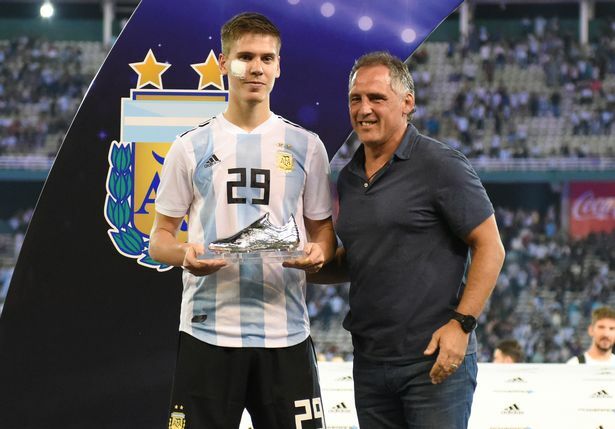 The Argentina coaches had long kept tabs on Foyth and having previously asked Pochettino about him early in the season when he was injured, the time was right for that first call-up. "Obviously it's a dream to fulfil and hopefully there will be many more occasions to do so," the defender explained of that debut against Mexico. However, Lionel Messi's current exile from the national team robbed Foyth of the chance to take to the pitch with arguably the world's best player. "It will be a dream [if he returns]," admitted Foyth. "I have trained with him when I used to play for the U20s. The U20s trained with the first team. "It was unbelievable. It was just training so it was more calm but he was still dribbling past players whenever he wants." Did Foyth ever tackle Messi? "No, no, no!" came the answer with a laugh. When it comes to his homeland, there has also been the pain of watching the tragic story unfold of another Argentine who was set to launch his own career in England - Emiliano Sala. Foyth, along with Lamela and Gazzaniga, had been vocal on social media in their efforts to continue the search for the plane carrying the Cardiff City striker and pilot David Ibbotson after it came down near Guernsey last month. However, when Foyth sat down with football.london, it was the morning after the plane and Sala's body had been recovered. "For everyone in the world of football, and everyone from Argentina, it's a horrible piece of news," admitted the young defender. "But now the important thing is to be behind his family and let them know they have all of our support and try to help them. "It puts football into perspective and reminds everyone to enjoy their careers. That's precisely the thought you have when things like this happen. Today also checking the news I learned that some boys from Flamengo have died in an accident. Again a very sad piece of news." Foyth is an intelligent young man, that's clear when you speak to him, with the answers either coming back in unbroken English or in even greater detail through the translator. He understands every question asked of him without the need for translation. That brightness and willingness to learn has helped him in taking on everything Pochettino asks of his players. Foyth's progression this season has impressed many at the club and with Mousa Dembele's exit to China last month, Pochettino made it clear that the defender had earned the right to be restored to the club's Champions League squad and he duly was placed back on to the list ahead of this Wednesday's last 16 first leg clash against Borussia Dortmund at Wembley. "It's a great joy to me," said Foyth. "It's something really beautiful to be playing these final stages of this competition." Then there is the long-term future. Some people have suggested that like Eric Dier, Foyth could eventually return to a midfield role because of his ability on the ball, his dribbling and eye for a pass. "I don't know [if it's a future role for me]. Perhaps the technical team, if they see that it's something they're thinking about, but I wouldn't know," he admitted. "If they want me to play in any position I will do it." 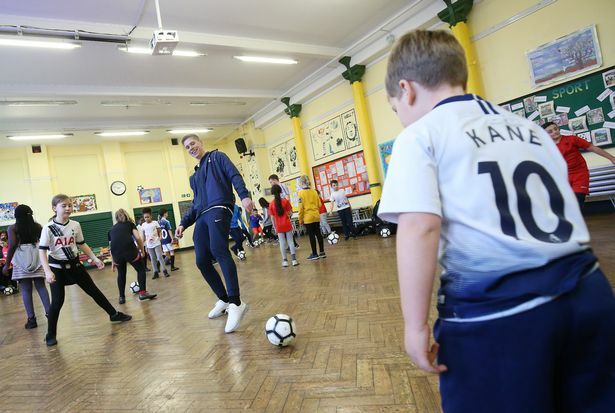 For Foyth it's all about the now, continuing to push forward and he is savvy enough to know that it was always going to be a gradual process at Tottenham. "I knew it wasn't going to be easy, that I wasn't going to be playing for the early matches," he said. "But I have been talking to the technical team, working with them to improve my condition and skills and bring those forward. I'm really happy with that work." So is Pochettino, and Foyth's development is filling plenty of people at Tottenham with hope that they've found a defender who could lead their backline for years to come. That's not a daunting challenge for Foyth, it's just another thing to take in his long-legged stride. Dodgy moment aside in the first half (Which was more down to a poor pass from Sanchez and Alderweirelds positioning), I thought he was excellent today. A huge game against one of the best teams in Europe and he dealt with Pulisic comfortably, had him in his pocket all game pretty much. His use of the ball was excellent and as ever very very good on the ball. First start in the Champions League this season and this is the level he's at. What a star this lad is going to be. 21 years old. Can be whatever he wants to be. I love his confidence and swagger, not afraid of making those mistakes, which will iron out the more games and more experience he gains. That wasn't even the best part - the pass that followed it was even better. In between two Dortmund players taking both of them out of the game. So good! He's a very unusual player to be as good as he is at his age. Really I can only fault him tonight on his decision making which is all about experience, I hope people allow him the odd mistake without getting on his back. What a player, could watch him play all day, so expressive with his passing, risky sometimes but beautiful. Bit of a rough first half, but like the rest of the team he grew into it and he looked like he belonged in the second half. That wasn't his Champions League debut. Really is from the Vertonghen mold... And has the great man to learn from on his way up. On another day, that break leads to a goal.... SO GOOD! Loved that little burst down the right wing, with the one-two with Aurier. The Dortmund player just stopped, because he didn't expect a centre back to go on that kind of run. Wish we'd have scored from that, because it was a thing of beauty, which really deserved a goal to finish it off. Poch has to try him at DM position. Foyths heat map yesterday is pretty much him in midfield anyway. As well as babysitting Aurier. Some people point out his ''individual errors'', but disregard the fact that on a lot of them he's been utterly stitched up by those around him.